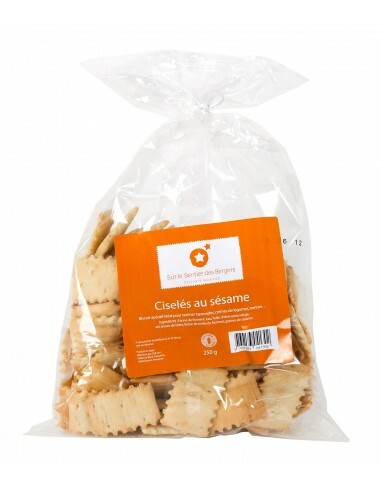 Ciselés (crispbreads) are original and tasty little crackers made from good ingredients. Ideal for spreading tapenades, vegetable creams, terrines … A must have for any family get-together! Wheat flour, water, extra virgin olive oil, salt, yeast, wheat malt flour, sesame seeds.